The British Tarantula Society held its annual expo in Coventry, England this week. 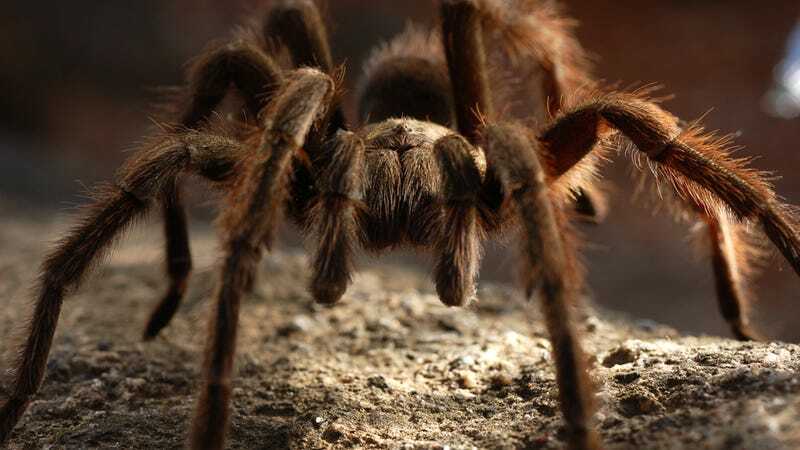 It's the biggest tarantula event in the world, boasting the presence of 30,000 fuzzy, 8-legged friends under one roof. While much of the expo is made up of vendors selling tarantulas (and other beautiful creepies like scorpions) and exhibitors showing off their arachnid knowledge, the event does include a contest — sort of like Westminster, but for spiders. And now we finally have the plot for Best in Show 2.